Major Millsaps Reclines. Courtesy Millsaps Flickr. 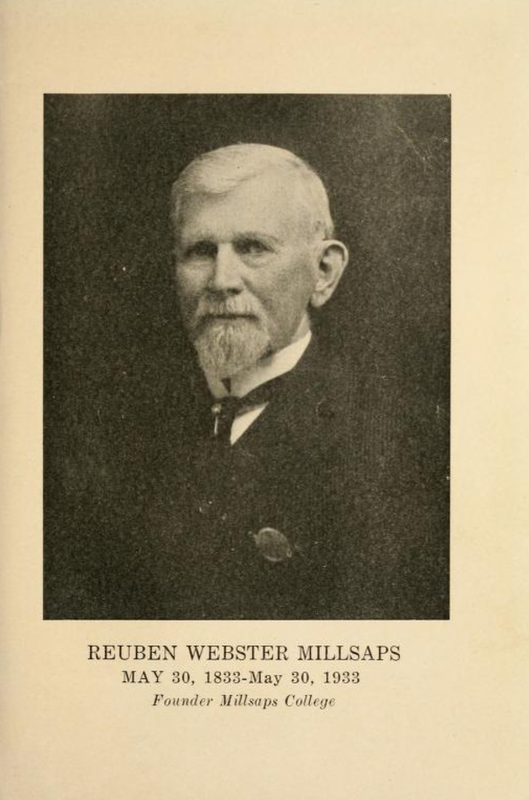 When I think about Millsaps, I think about the mascot—Confederate Major Reuben Webster Millsaps. Two years ago, the Millsaps SBA voted to retire Major Millsaps’ uniform in the same week that they voted to stand with the University of Mississippi’s decision to bring down the Mississippi state flag. 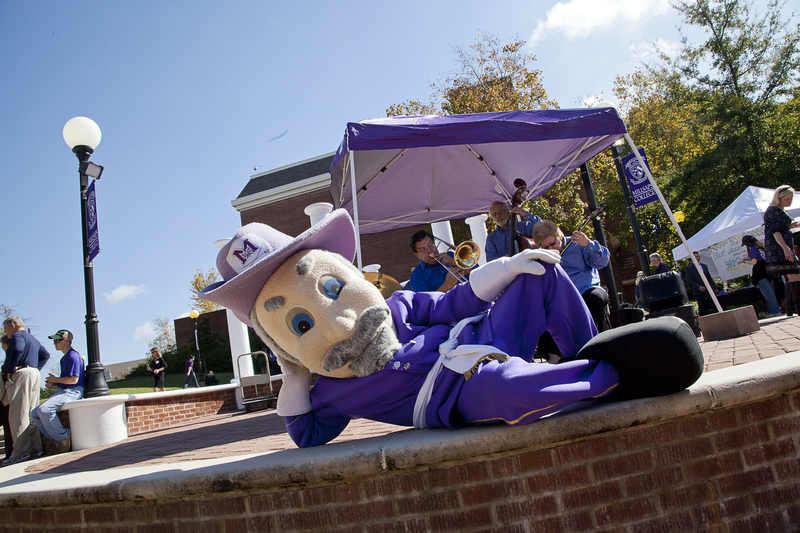 But Major Millsaps, as the official university’s mascot, remained. “What has been retired is the Major Millsaps’ uniform, which was also retired by Major Millsaps himself. He is just getting a revamp on the uniform he wears,” then-SBA President Trey Vernaci said, minutes from the Oct. 26 meeting show. Those actions were and are antithetical. There is no solidarity to be had between a group that continues, even tacitly, to stand with a Confederate Major and another that supports other universities that remove Confederate emblems from their campus. Major Millsaps at a Homecoming event. Courtesy Millsaps Flickr. “Please note that our college has already made a decision in regards to (the mascot)… The mascot as we have known it has been retired and work is underway to develop a new and improved version of the Major mascot for the College,” the Oct. 23 and Oct. 27, 2015, Facebook posts say. It’s now August 2017. Nothing has changed. 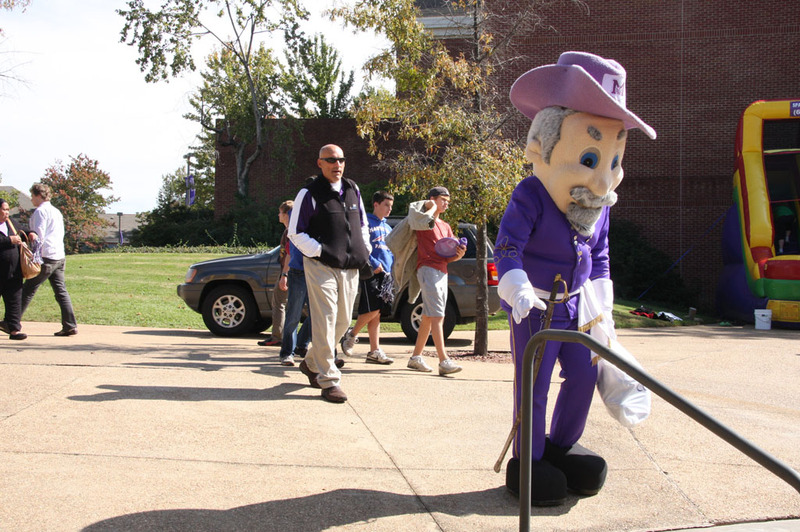 The campus website still lists “The Millsaps Major” as the official mascot. 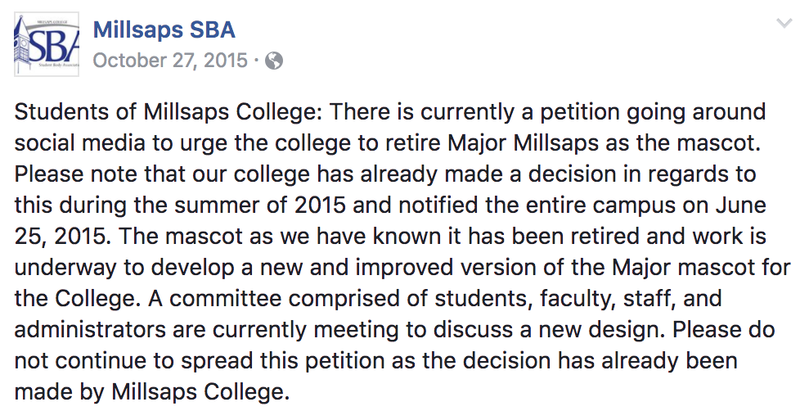 “The mascot as we have known it has been retired…” Courtesy Millsaps SBA Facebook. Though we may only have a “Major” as a mascot in name, change is still very much needed. White supremacists and neo-Nazis rallied and marched on the University of Virginia’s campus, in a display of hate that grew violent leading to one woman’s death and several injuries as well as the deaths of two state troopers, all in an attempt to protest the removal of a statue of Robert E. Lee, a Confederate General. It’s time to talk about Major Millsaps. Reuben Webster Millsaps was born in Pleasant Valley, Mississippi, about two hours away from Lauderdale County, Miss., where my great-great-grandmother, was born into slavery. His immediate family owned and operated a cotton plantation, a 1933 “Tribute to the Founder” in the Millsaps College Catalog says. At age 17, Reuben Millsaps was able to decide to leave his home and travel to Indiana to attend what is now known as DePauw University after earning money selling cotton for his family with the help of “trusty slaves,” the tribute story says. Image of Reuben Webster Millsaps. Courtesy Millsaps Archives. When my great-great-grandmother was 17, she had no legal free will, even if she had escaped, she would have had nothing—it was illegal for her to read or write; as “property” she had no assets to leave the plantation where she grew up. The plantation owner decided if and when she would do anything. She had to ask permission to walk to a different part of the plantation—to travel to another state without the explicit consent from her owners was illegal. Reuben Webster Millsaps was able to trace his lineage back many generations—I traced his ancestral history from Thomas Millsaps, his first documented ancestor, who was born in 1679 in Ireland to his father, also named Reuben Millsaps, who was born in 1806. Millsaps’ father was the first schoolteacher in Copiah County, became a planter, married and had eight children before dying on September 9, 1854. He also owned slaves, mainly black women, multiple records show. I am able to go back five-generations—and, even then, that’s only to the early 1800s and it’s because I was fortunate enough to know my grandmother, born in 1919, who remembered meeting some of my recent ancestors. My ancestors were stripped of their languages, their identities, violently separated from their families and friends, whipped, raped and murdered. This is the true erasure of history. Africa is nearly twice the size of Russia, it is larger than the contiguous U.S., most of Europe, part of Eastern Europe and Japan combined; and, because of people like Reuben Webster Millsaps’ father and himself, who decided that my ancestors were less than human, all I know is that I can trace myself back to a continent. Millsaps, officially, has an idyllic history. Courtesy Millsaps College. Unfortunately, Reuben did not extend that respect for the value of education to those men and women he enslaved because the very act of owning slaves meant you were legally bound to keep them uneducated. Reuben Millsaps willingly joined the Confederacy; he made the conscious decision to fight to keep people who look like me—my ancestors—enslaved. After his injury, Millsaps eventually rejoined his regiment. However, in the reorganization, the regiment declined to reelect Millsaps “lieutenant colonel” and, instead, made him captain. It was only later that he was given the title “major”–which he kept until the Confederacy surrendered. R.W. Millsaps donated to Confederate Memorial Fund shortly before his death. The well-known Confederate General Robert E. Lee, after losing a treasonous war, attempted to scrub away all signs of the Confederacy. Millsaps returned to Mississippi and helped found Millsaps College, which he wanted to name “Mississippi Wesleyan College.” Millsaps did, however, take some pride in his efforts during the war. 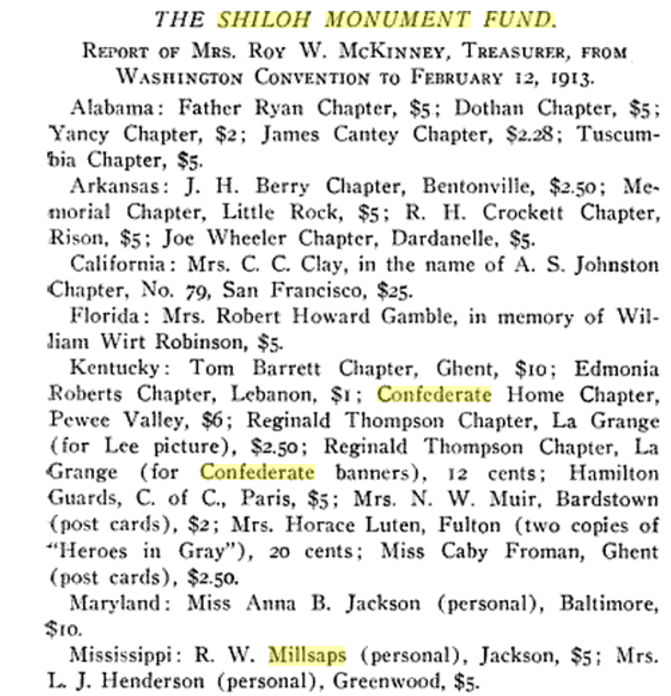 A few years before his death, in 1913 Millsaps donated $5—the equivalent to $123 today—to The Shiloh Monument Fund. The Confederate Monument at Shiloh, Tenn., was built in 1917, two years before my grandmother was born, in “honor” of all Southern troops. Some records say Millsaps was wounded at Shiloh during the war. Major Millsaps’ likeness, in the form of our mascot (or rather the person in the suit), won’t appear at our scorching hot football games this year, but the association with a Confederate “major” is still problematic. Everything is “major” this or “major” that. I check my grades through “MajorPortal” and check my financial aid through “MajorAccess.” Students frequently affirm their “major pride”. At athletic events, on emails, in meetings we say, “Go majors!” There’s even a hashtag, born out of a campaign by the school in celebration of Millsaps College’s 125th anniversary #flatreuben, with which people share photos of themselves traveling with print-out versions of Reuben Millsaps (though, this hashtag has not been used by the school since August 25, 2015). 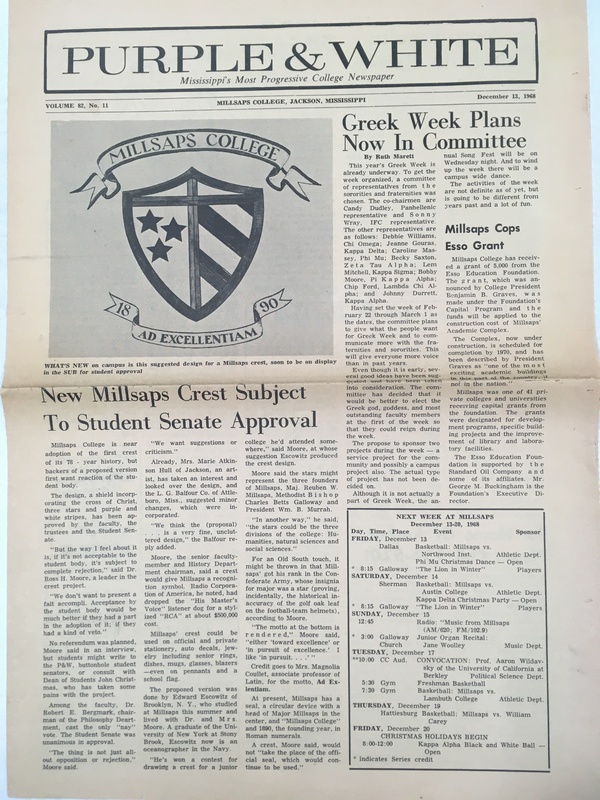 December 1968 issue of the Purple & White celebrates school crest. The crest’s three stars represent the three founders: Reuben Millsaps, Charles Betts Galloway and William B. Murrah, (the Jackson high school I graduated from is named for him), the 1968 P&W article notes. Millsaps’ website noted the nod to the Confederacy until recently. 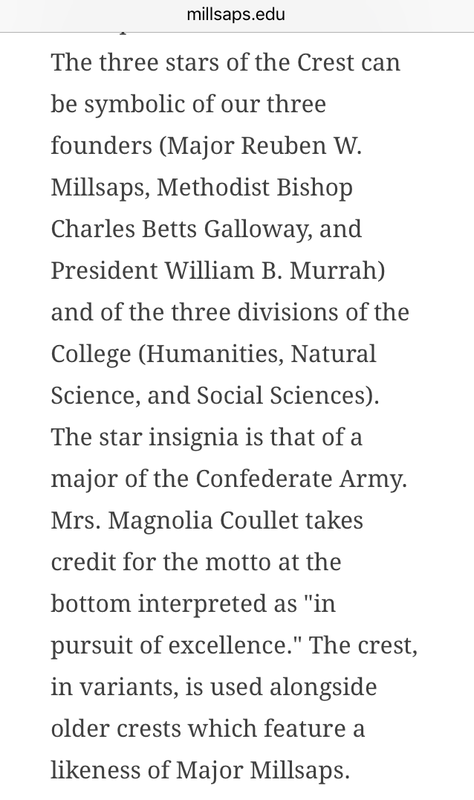 Millsaps College’s official website referenced the Confederate insignia before that sentence was deleted from the site. Courtesy Millsaps College website. 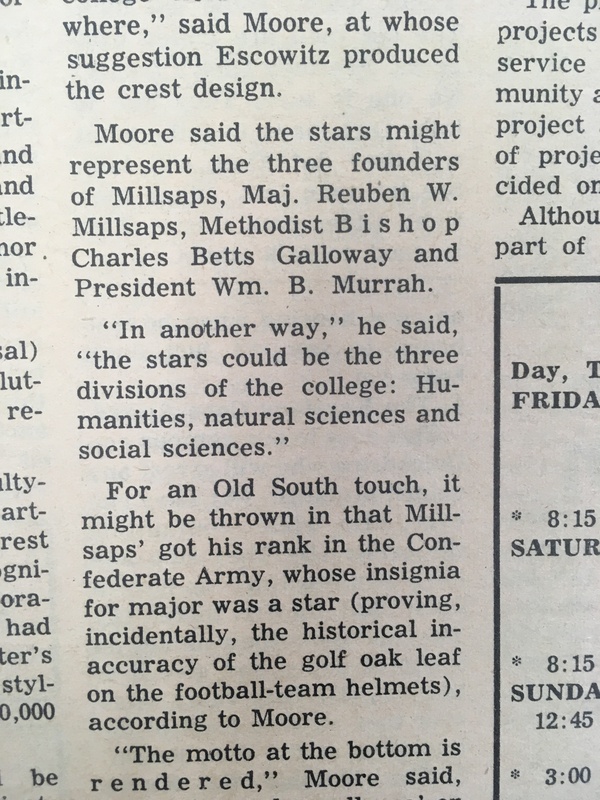 That same sentence appears in the Sept. 8, 1978 issue of the Purple & White, affirming the three-star nod to the Confederate insignia referenced in the paper a decade earlier. The dress code of the Confederate States, issued in 1861, shows stars were used to indicate rank among army leaders. Majors had one star on their collar, while colonels had three. There is no ideological compatibility between a school with a “heritage of social justice” and a man who fought to ensure that my ancestors would be enslaved. It’s ironic that a school that was recently designated as a place of truth, racial healing and transformation continues to celebrate a Confederate major and hides his white supremacist, not-so-hunky-dory history. Those who are worried about an erasure of history should be weary of an institution that is attempting to sweep the actions of Reuben Millsaps under the rug . Simply changing his uniform while retaining his face or his Confederate title, major, is an insult to those who were enslaved. I was born in Mississippi. My mother was born in Mississippi. My grandmother, my great-grandmother, and my great-great-grandmother are all Mississippians. I am a black woman who comes from a strong line of black women whose sweat, blood and tears made this state. It is on the backs of black women that this country, and men like Reuben Millsaps, amassed their wealth—wealth that helped build this college. I know the history of my state and, at times, it is almost burdensome. Removing a racist, bourgeoisie mascot will not remove his tomb from this campus; it will not erase him from this campus completely—that’s impossible, the school is literally named after him. I have a right to be and feel respected especially when I am on a college campus with a price tag of over $55,000. If Millsaps really wants to consider itself a “progressive” campus, it needs to not only expunge the racist mascot but also denounce the actions of Reuben Millsaps and apologize to all descendants of enslaved people that it has taken this long to do so. In 2017, a century after Millsaps’ death, this institution needs to acknowledge and admonish its white supremacist, Confederate namesake. WOW. Thank you for sharing! I am a Millsaps College graduate and also a distant descendant of Major Millsaps. At first I was a little taken aback, and then I realized the truth in the words that were written. It is hard to look at something from a different perspective when it’s been right under your nose the entire time. THANK YOU for writing this and helping us all see what we have chosen NOT to see. I completely agree and support this. Mother Millsaps should also agree with this. Yes – it would mean a huge re-branding for the school, but shouldn’t all of our branding reflect exactly what Millsaps College stands for? Shouldn’t Millsaps College be helping pave the way to show that history can help propel us forward from our past? My Neice, Linda Y. Ratliff, was one of the first black students to attend Milsaps College. Plenty of other Millsaps blacks and whites support Jeanne Middleton Hairston in wanting to separate Millsaps from Confederacy worship. At the very least, the term “Major,” the uniform, and the mascot should go. As a compromise, Reuben Millsaps can be referred to with his name or initials, but maybe the school could keep its historical name. On the other hand, maybe Reuben Millsaps’ original suggestion of “Mississippi Wesleyan” should be seriously considered. If we go this route, and we should, we need ideas for a new mascot. I’ll start. How about “Millsaps Reign.” Mascot would be purple, crowned, hold a crosier. Reuben Millsaps did grow up as a planter’s son, so in that way, he was a technical slave owner. He went north for his education since no liberal arts college existed here. He added a law degree from Harvard and made his money as a capitalist, mainly as a banker. He had blood on his hands as a warrior for the rebellion, but he changed horses after the war and supported the reconstruction program of the Republicans. See Harris’ ‘Reconstruction in Miss” and Turkel’s ‘Heroes of the American Reconstruction’ p. 106. He had the benefit of white privilege, which for his time and ours, is a social advantage. He was a prince in this world and the Major might have had the ‘fear of God’ which is the true advantage in the next world. I doubt he would have cared about the mascot. I’m puzzled about the crypt on the campus, however. I think he would have preferred a grave in western Copiah County where his people are resting. I don’t believe you will have a long term issue. Millsaps is #3 on a national listing of colleges that are being abandoned. The listing quotes the following. “Millsaps College has a total of only 804 students. A low number of students is understandable consider the school has had a decrease in Applications of 15.7% over the past decade. In 2013 it was reported that Millsap’s Acceptance rate was down to 47.4 %.” When I graduated, there was over 1,200 students on campus. With a declining application and acceptance rate, Millsaps will no longer need a mascot or a name. Great piece, Adria. Someone just pointed it out to me.